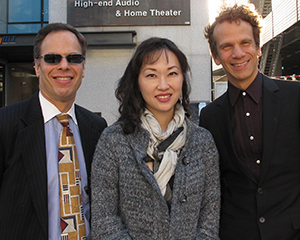 Three faculty members from Notre Dame’s Department of Music embarked today, October 7, on a 12-day tour to Asia, building scholarly and cultural connections with universities in China and South Korea. 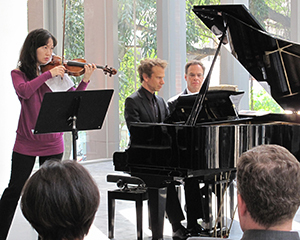 Professor Peter Smith, chair of the department, Professor John Blacklow, an award-winning pianist, and Assistant Professional Specialist Tricia Park, a critically acclaimed violinist, will travel to Shanghai, Beijing, and Seoul. The trio will present lectures and performances, including one at Beijing’s Capital Library, in conjunction with the U.S. Embassy. “There is great appreciation for Western classical music in China and Korea,” he said. During last year’s trip, Blacklow and Park presented master classes in piano and violin, as well as formal recitals at Fu Jen Catholic University in Taipei and the Museum of the National Taipei University of Education (MoNTUE). Smith offered scholarly lectures at both universities. The MoNTUE event was especially noteworthy as it was organized in conjunction with the American Institute in Taiwan as part of its ongoing efforts to link U.S. universities and partners in Taiwan. Marut ’74 is just one of many Notre Dame alumni working in Asia. Getting to know these graduates was one of the most rewarding parts of last year’s trip, Smith said. This fall, the group plans to meet informally with members of the alumni club in Seoul and participate in Discover ND events in Shanghai and Beijing, connecting parents and prospective students with Notre Dame alumni. “The alumni are very positive and enthusiastic about their Notre Dame experience and eager to share information about it and to stay connected via our visits,” Smith said. 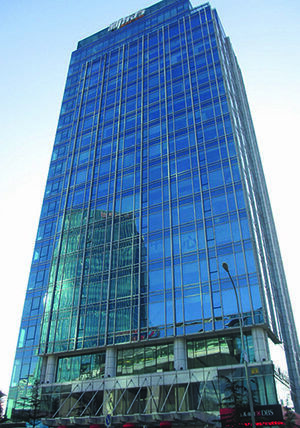 The Beijing Global Gateway, part of Notre Dame International’s network of global gateways, aims to increase Notre Dame’s reputation in Asia. “With this goal in mind, Noble said, “we facilitate opportunities for our faculty to share their knowledge, expertise, and talent through collaborations with leading universities, the Notre Dame community in Asia, and other organizations. Smith is already planning a third trip for fall 2015. The visits, he said, are a valuable opportunity for both the faculty at Notre Dame and their counterparts in Asia to learn from one another. “In America, we have great respect, even awe, for the Asian educational system and its ability to impart intellectual rigor on its students,” Smith said. “What surprised me, however, was the degree to which Asians still tend to view us as leaders in education. They admire our ability to foster creativity and critical thinking and an ability in our young people to grow to imagine the next great thing. So, we both respect each other and have complementary strengths in our educational systems. Originally published by Carrie Gates at al.nd.edu on October 07, 2014.